January 22, 2011 - Cisco announced today that it will be setting up its Maltese operation at SmartCity Malta, Malta’s state-of-the-art ICT and Media Park. SmartCity Malta, which is set to be the regional leader of the knowledge economy in the Mediterranean, has also selected Cisco’s Borderless Network Architecture. Cisco’s Borderless Network Architecture will create a robust, secure and flexible networking environment, to meet the demand of the world’s digital operations. SmartCity Malta has also implemented a comprehensive Cisco Collaboration solution, designed to provide the most advanced communication experience with rich, reliable and effective voice interactions. Using Cisco’s open architectural approach, SmartCity Malta blended switching and security solutions to create a highly secure, dynamic foundation, which will serve as a basis for the current and evolving business requirements of a sustainable township that caters for a global, mobile, knowledge-based workforce. On this borderless network, SmartCity Malta has used Cisco’s Unified Communications products and services, to develop a fully-integrated, intelligent collaboration solution. Malta’s effort towards creating the region’s leading knowledge economy is bearing fruit, and the technology and financial industry of the country has grown substantially in recent years with the influx of online gaming, ICT/Media and financial industry. Today’s announcement confirms Cisco’s commitment to serve this growing technology sector of the country. o Cisco is setting its Maltese operations at SmartCity Malta. o Aiming to be the region’s most advanced business township, SmartCity Malta offers an incomparably superior ICT infrastructure specifically designed to benefit the world’s mission critical digital operations to be run from Malta. o In realizing the design, Cisco’s Borderless Network Architecture played a pivotal role. 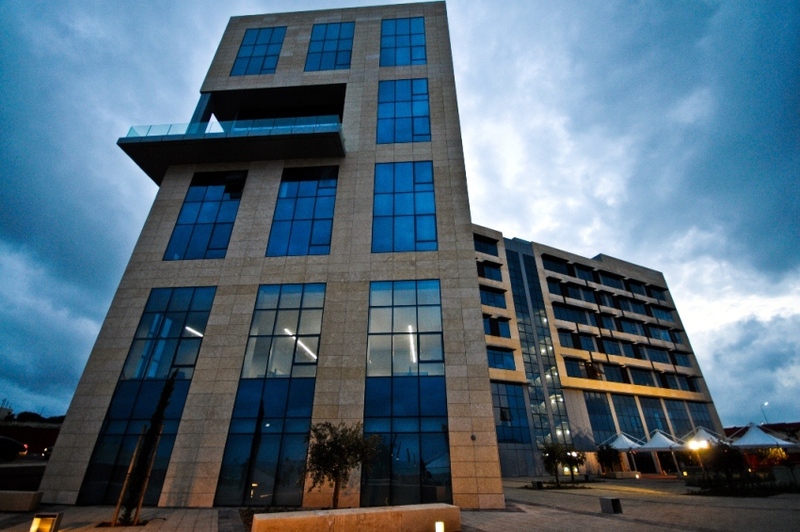 The telecom and campus management networks of SmartCity Malta are interconnected across the campus for full integration of different technologies and products. With Cisco Unified Communication solution, SmartCity Malta can meet the rapidly evolving technology demanded by its business partners beyond the conventional voice and video communication over SmartCity Malta’s built-in communication platform. o The Cisco Borderless Network supports SmartCity’s goal of a green and sustainable township by enabling integrated building management and control systems that deliver energy efficiency, security and enhance the tenants’ experience within the township. Borderless Networks, Collaboration, Unified Communications, energy efficiency, sustainability. SmartCity Malta is a self-sustained industry township for knowledge-based companies located in the Ricasoli Estate in Malta. To be developed by SmartCity, in partnership with the Government of Malta, SmartCity Malta will be home to a vibrant knowledge-economy community anchored by leading global, regional and local companies. SmartCity Malta is set to become the leading ICT and Media cluster in the heart of the Mediterranean and the first European outpost of the global SmartCity network. With a minimum investment outlay of US $ 300 million, SmartCity Malta will transform Malta into a state-of-the-art ICT and Media business community based on the successful clusters of Dubai Internet City, Dubai Media City and Dubai Knowledge Village. SmartCity Malta is the largest ever foreign direct investment in the ICT and media sectors ever made in Malta. SmartCity Malta will create the infrastructure to develop a self-sustaining knowledge-based township comprising office space, residential and lifestyle elements. The project is expected to generate 5,600 jobs and create a total of 158,830square meters of office space to host ICT and Media operators.